And that brings us back to the main theme of the film. Amidst all of the internet nonsense, the very core of the story, as mentioned, is the friendship between Ralph and Vanellope. They are of course already best buds after the end of the film, but their relationship is challenged by a very real and relatable scenario. Ralph is comfortable with the routine of the old arcade while Vanellope wants to break out into something new. What happens when two friends have these conflicting feelings? 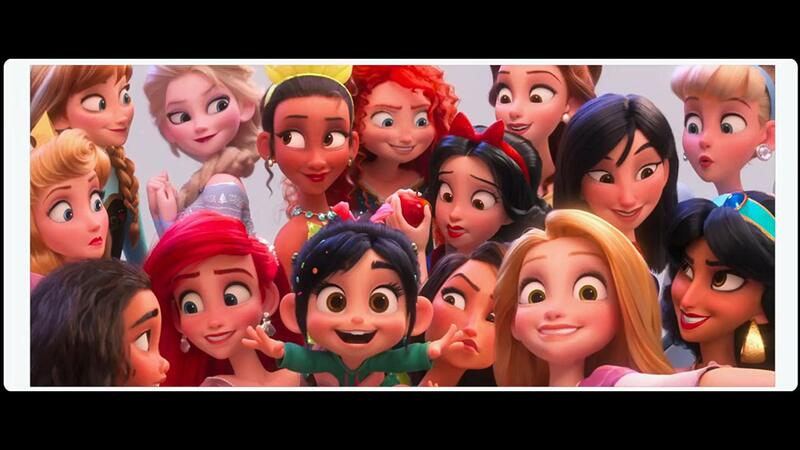 Is Ralph, as the best friend and Vanellope's "hero" entitled to anything from her? Without giving too much away about the final act, the film cleverly tackles mental health in close, interpersonal relationships, namely the insecurity of individuals that hamper these relationships. This insecurity may cause one of the parties to force security, trapping the other into staying in the friendship—which as y'all should know, is unhealthy and bad. Conflicting desires eventually lead to sabotage, but thankfully, the film veers away from any of the characters straight-up gaslighting each other. The story also utilizes Vanellope's chronic "glitching" in an interesting thematic way—I always thought that it was a metaphor for disability in the first film, but when the theme of insecurity arrives, it turns more into a metaphor for anxiety. And no, I'm not looking too much into a "kid's movie," because the characters literally talk about most of this stuff. I really appreciated how the film handled this, and without airing out my personal history for the sake of your sanity, I wish I had it when I was a kid.